There are times in life when we know what we want and we make it happen. Victoria and Victor met, fell in love, knew and got married! 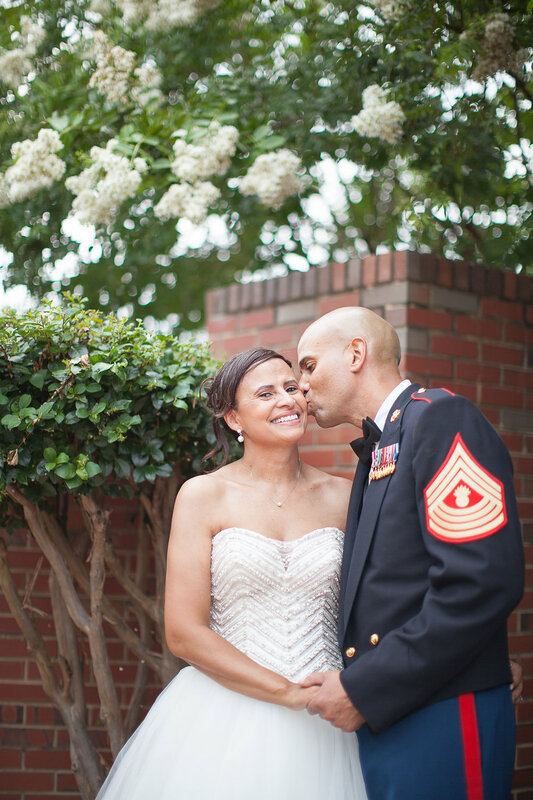 This great lady and Marine are such a nice easy-going couple who share a sweet kindness between them. They have a comfort that allows them to to truly be themselves. Victoria has a special gift in drawing out the smiles from Victor (this is saying a lot given that most people who know him know that his inward happiness is only visible every now and again). 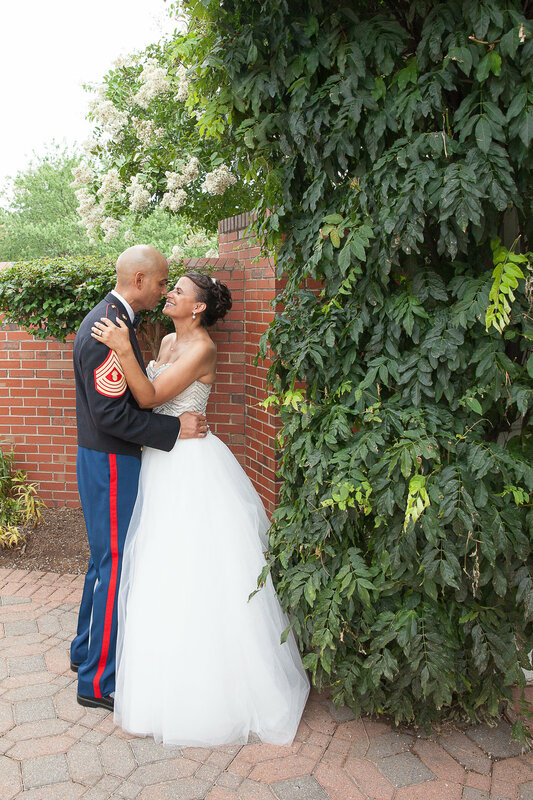 They chose the Clubs at Quantico and Crossroads Events Center to host their ceremony and reception. The banquet hall was beautifully put together with accents of navy, complementing Victoria and Victor’s wedding theme. A pleasant surprise is the charming outdoor courtyard framed with crepe myrtle trees and trellises decorated in greenery - which made for a lovely backdrop for photos (and just before the rain arrived, too!). Victoria and Victor spent their celebration visiting with family and friends, taking fun selfies and dancing the night away (the DJ even did an impromptu performance!)! It was an honor to capture their special day! Here’s a sneak peek of their wedding! 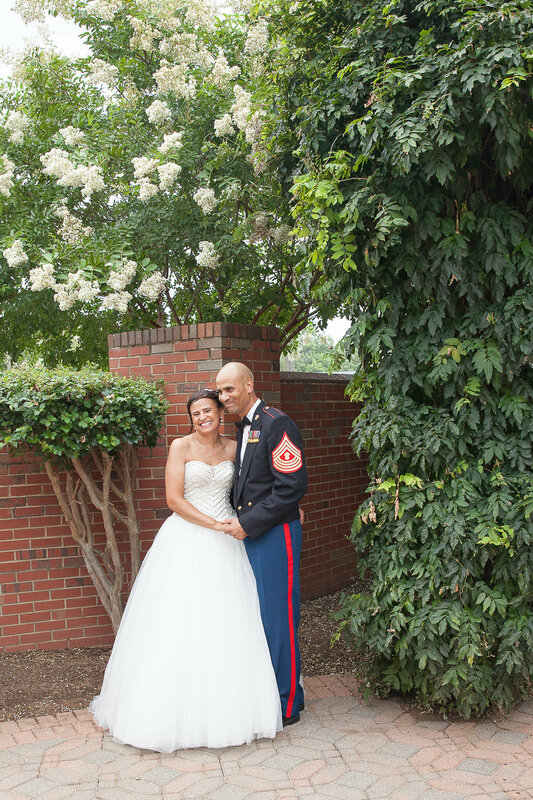 Thank you for letting me share a part of your story, Victoria + Victor! Congratulations and I wish you a blessed marriage.